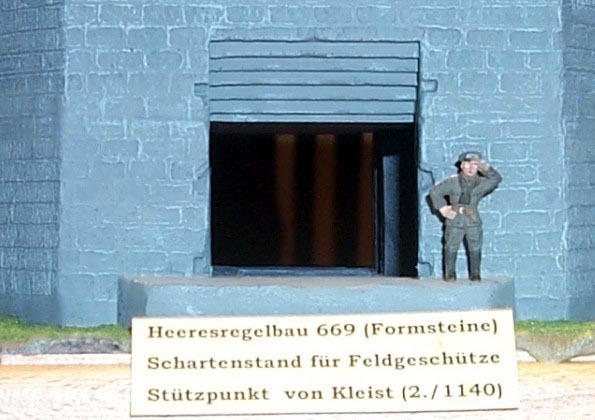 It shows a German Gun Bunker named Heeresregelbau 669 (Schartenstand für Feldgeschütze 60°) .Specially this one was made from blocks. 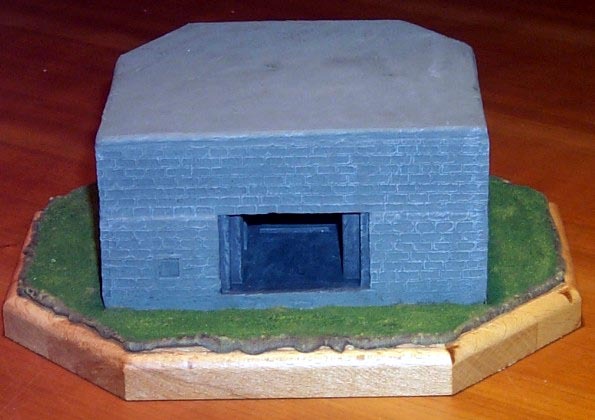 The Bunker is totally scratchbuilt from Styrodur. 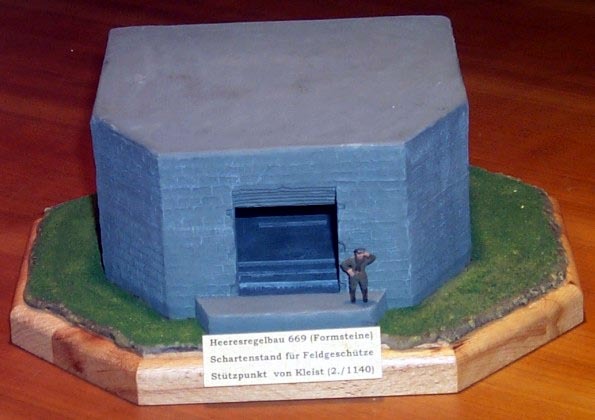 The original Bunker stands in the former "Stützpunkt von Kleist"on Walcheren in the Netherlands and is today visible. 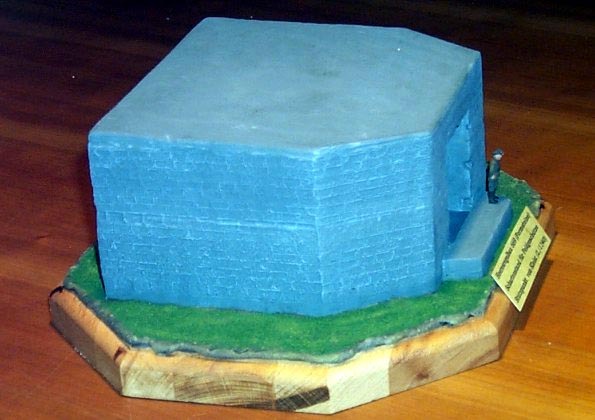 It was one piece from the Atlantikwall. 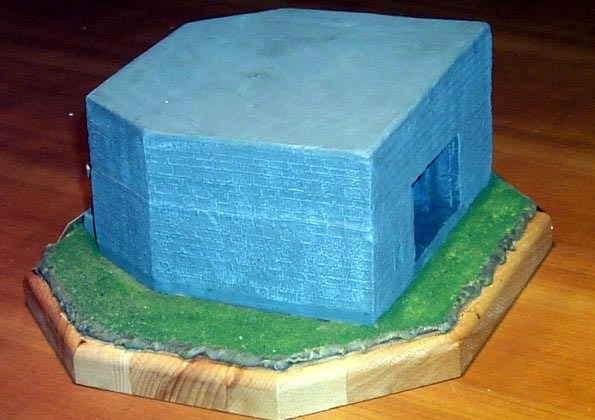 Now the diorama stands in the Atlantikwallmuseum in Zoutelande, the Netherlands.